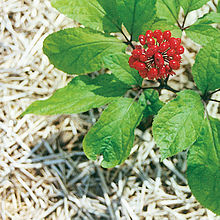 ^ "'Panax ginseng C.A. Mey.". Tropicos. Missouri Botanical Garden. Retrieved 2012年8月13日. ^ a b "Panax ginseng". National Center for Biotechnology Information (NCBI).